I hope everyone had a wonderful Mothers Day yesterday. I had a wonderful time with my son, mom, brother and husband. We were so busy! We went to a plant sale and had lunch together. Then I headed home for a bit and took a nice afternoon nap cuddling with my son, and finished off our evening with a walk through the woods. 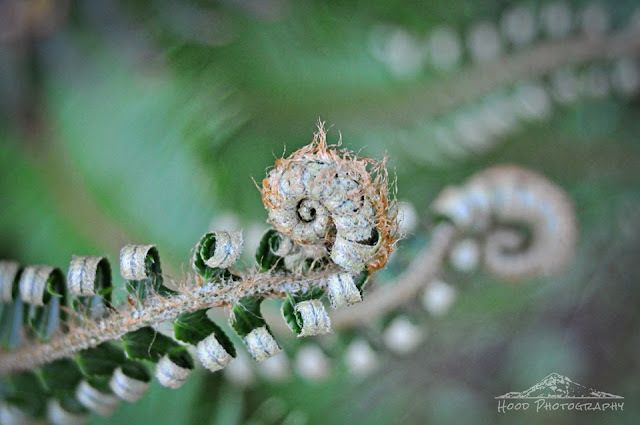 It was a peaceful end to the day, and I took the time to capture this new fern unwinding itself in the warm weather. That's an interesting twirly fern. Happy belated Mother's day! Wonderful macro, the symmetry of ferns is fascinating. That is very beautiful. I love photographing fern fronds too, but i only see them in garden shows as it thrives in the rainforest.